If you’ve ever tried to plan a ski trip with a group of friends leaving from the city, you know that it’s a huge, giant pain. Most people think that you have to trek across state lines to get to the slopes and spend an entire weekend to make it worth the trip. 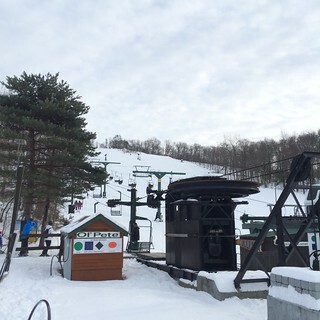 Fortunately, we found one gem of a resort that is a mere 1 hour and 15 minute drive from NYC: Mount Peter. Mount Peter was started in 1936 by Macy’s Department Store, used as a marketing tool to show off their ski fashion. 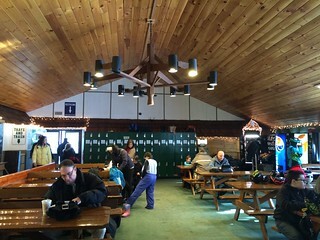 It is currently the oldest operating ski area in New York State, and is one of the few remaining family-operated ski areas in the country. Because it is a family business in a close-knit community, Mount Peter is also known as “The Friendly One,” and our experience there proved that to hold true even today. 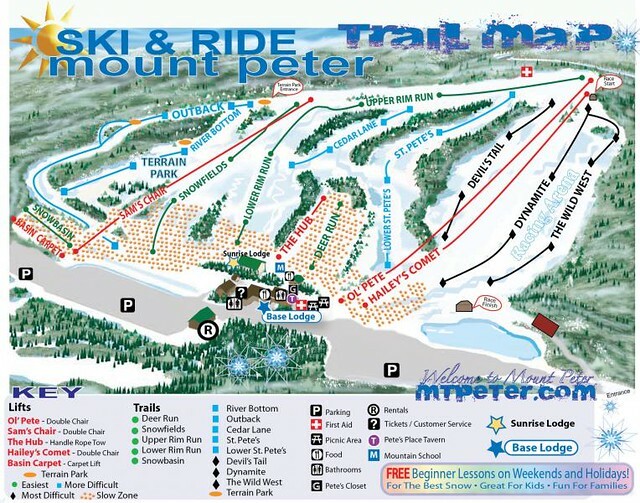 Mount Peter is a small resort, but a great spot for beginners to learn and take their first shot at skiing or snowboarding. 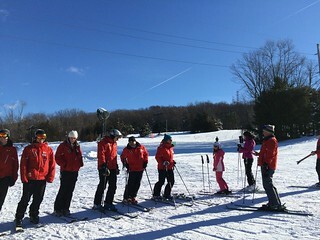 They even provide free group lessons for beginners with certified PSIA and AASI instructors that will guide you through how to get started, from getting the right equipment to teaching you proper techniques and getting you on the bunny slope. 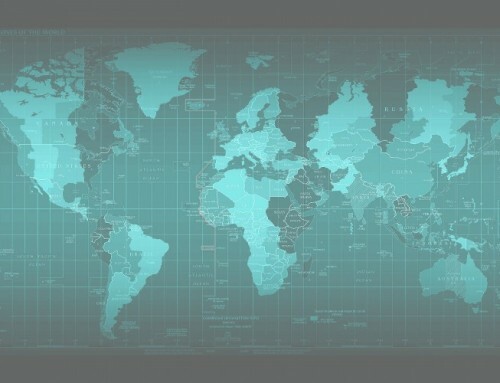 If you are rusty or want some guidance for improvements, they also provide private lessons for all skill levels. There are snow-making capabilities, but we were lucky to visit Mount Peter on one beautiful sunny Sunday after some fresh snowfall. 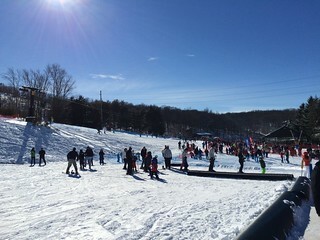 The slopes were teeming with kids in ski lessons, and there was even a timed race going on: the crowd admired the young competitors speeding down the mountain. 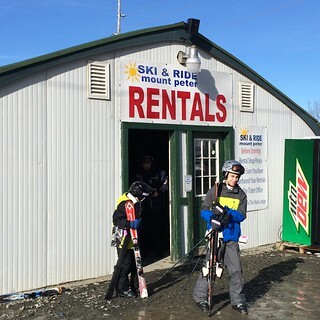 We got our gear at the rental shop, which is on the small side and a bit frantic – as most rental shops are – but they were helpful in making sure we were comfortable with our boots and were happy to assist in fittings and exchanging sizes. After suiting up, I hit the slopes and ditched my two friends, leaving them in the very capable hands of the instructors for private lessons. One friend had never been skiing or snowboarding, and not being a fearless kid anymore, was afraid of breaking all of his bones. He was paired with an older gentleman who retired and now spends his winters teaching lessons, patiently teaching ski newbies. My second friend was an infrequent snowboarded who just needed a quick refresher. 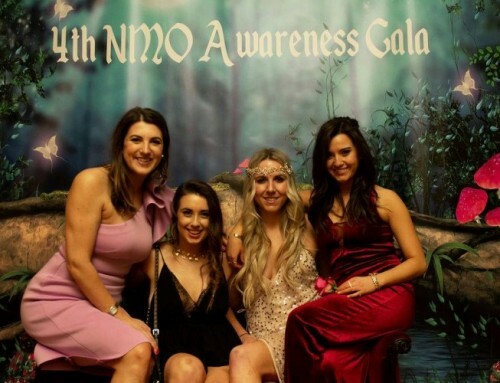 She was paired with a 17-year-old who began teaching snowboarding at age 14. 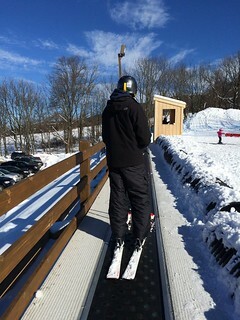 He told us that he also knows how to ski. Within 3 hours of learning how to ski, he learned how to backflip on skis and quickly became bored. So he stuck to snowboard. That’s quite the inspiration to teach your kids skiing and snowboarding at a young age! 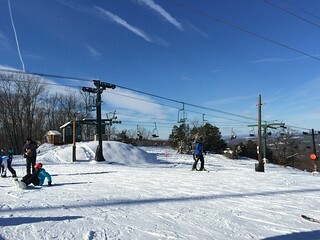 There are 5 lifts that take you up the mountain – and that includes both the carpet lift and tow lift for beginners – and 14 trails, plus one terrain park. 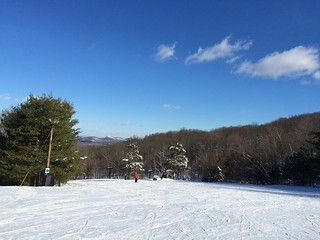 The green trails are 30% of the trails, where you’ll find most of the skiers. The blue trails are only a slightly more difficult than the greens, so don’t be too intimidated. The one black trail that I was brave enough to try was full of moguls – get ready for a bumpy ride! After exhausting all the trails (and, undoubtedly, exhausting all your energy), make your way down to one of the two lodges to rest, relax, and grab a bite to eat. Unlike most resorts that price-gouge their meals, you can indulge in some comfort food without breaking the bank. 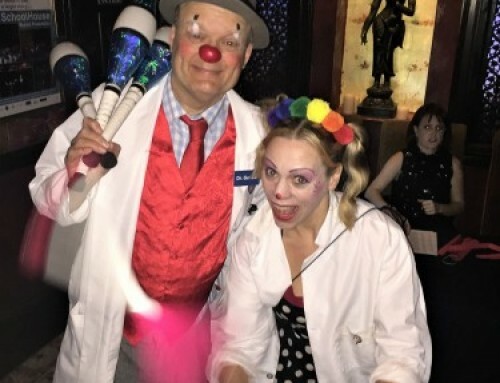 We gorged on the lasagna special, Philly cheese steaks, burgers, hot dogs, mac and cheese, an assortment of fries, and a slew of other chips, desserts, and snacks. 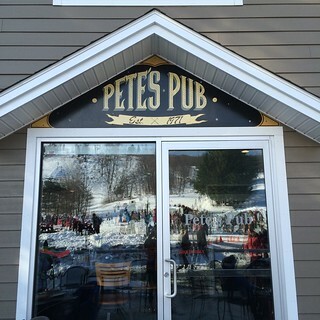 For adults needing some alone-time away from the kids, Pete’s Pub is an official kid-free zone for you to reward yourself with a beer or a glass of wine. 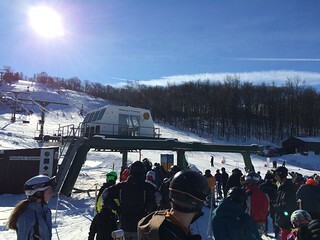 Overall, Mount Peter is a fantastic and friendly ski resort, just a short day trip away from NYC. 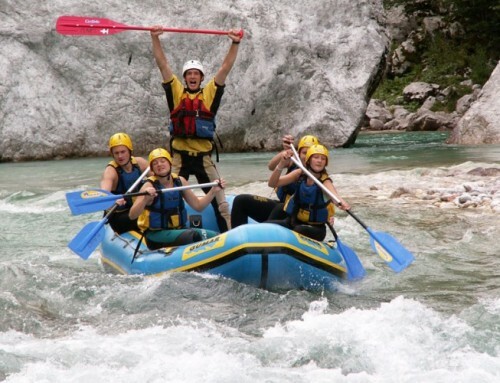 If you’ve always wanted to try your hand at winter sports, this is the place to get started!